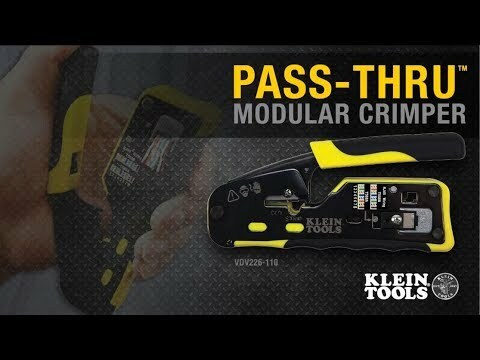 Exclusive Klein-designed Pass-Thru™ modular plugs for fast, reliable connector installations. Cable easily passes through connector for consistent and secure termination. Saves time, trims flush to end face when used with Klein Tools Pass-Thru™ Modular Crimper VDV226-110, and eliminates wasted materials. These CAT6 connectors are fully compliant with all PoE standards.